A photograph of Meghan and Eddie Redmayne at Soho House Istanbul has resurfaced online – years before they partied together at the club’s Amsterdam launch this autumn. 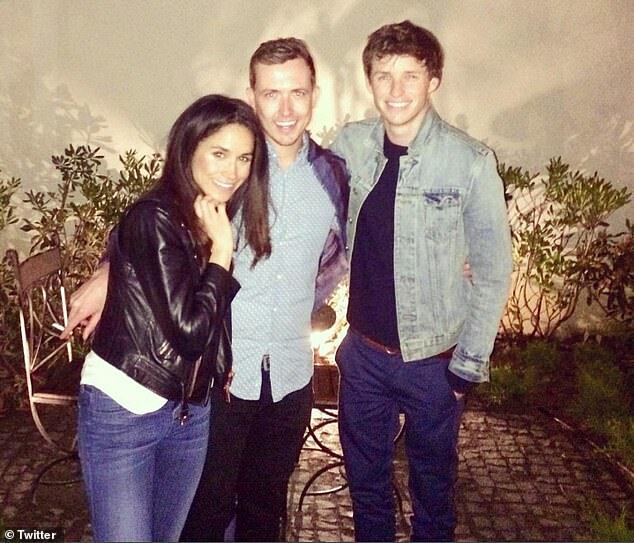 Hint: Markle is supposed to be pregnant, but she is partied with Eddie. The picture shows the smiling pair with London-based photographer Jason Bailey in Turkey in 2015, a year before the now Duchess of Sussex started dating Prince Harry. The Duke and Duchess of Sussex were surprise guests at the three-day launch of the new Soho House in Amsterdam in September, where Fantastic Beasts star Eddie was also a guest. Again, hint, hint Markle is not pregnant, it was touted as a three-day party. Both Meghan and Harry are known to be a big fan of the chain. and are understood to have had their first date at Soho House’s Dean Street Townhouse in London. Meanwhile, the Duchess of Sussex – who is close friends with owner Markus Anderson – has previously stayed at Soho Farmhouse in the Cotswolds, sharing Instagram snaps of her and Millie Mackintosh there back in 2016, when her romance with Harry was beginning. I wonder what Millie is thinking now? Markus is the director of membership, the connection guy, the dating list helper; I’m sure they will correct this. Markus is not the owner, Ron Burkle, Nick Jones; Charing is the owners. Charing owns Marks and Spencers. Nick Jones is the original creator. Burkle owns the Pittsburgh Penguins, Radar online, was set to buy Harvey Weinstein studios, Wholefoods. Connection to Jeff Epstein.